The field of hand and wrist surgery focuses on non-surgical and surgical treatment of orthopedic conditions and injuries that involve hand and wrist. It is crucial to understand that the term wrist specialist is used synonymously with the terms wrist surgeon, wrist doctor, hand specialist, hand surgeon, and hand doctor since the general public does not see the wrist as a separate anatomical entity from the hand. Anatomically, hand and wrist are two separate entities, which are functionally co-dependent and have to be examined and treated as a whole. It is no surprise then that the orthopedic surgeons taking care of the wrist would be trained to take care of the hand as well. All orthopedic surgeons are trained to take care of simple hand and wrist conditions and injuries. As such, they are able to advertise themselves as wrist surgeons or wrist doctors. 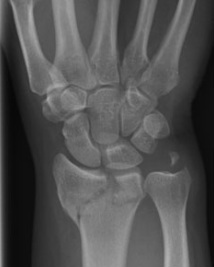 However, orthopedic surgeons who have completed hand and wrist surgery fellowship training are the true wrist specialists as they are able to take care of the most complex hand and wrist fracture patterns, microsurgical reconstructions of nerves, soft tissues and bone, and reattachment of amputated digits and limbs with the most up-to-date surgical and non-surgical techniques. When looking for a wrist specialist, patients often want to find out who is the best wrist specialist in their area. Although such a quest is not an unreasonable one, please keep in mind that the best wrist specialist for one patient may not be the best wrist specialist for another. It is a common practice for hospitals and clinics to market their physicians as the "best." In his book "Unaccountable", Dr. Marty Makary talks about Dr. Hodad - the most popular surgeon at one of the Boston's hospitals. Unfortunately, "Hodad" was an acronym for "hands of death and destruction." Dr. Hodad had Ivy League credentials and general surgery board certification, but he was such a lousy surgeon that most of his patients often suffered life-threatening complications. Thanks to his warm bedside manner, lack of patient understanding about post-operative complications, and the hospital's lack of transparency, he was one of the most requested surgeons by patients and celebrities. Tip#1: You want to chose a wrist specialist who has completed hand and wrist surgery fellowship training and passed an additional board certification in wrist surgery. To find out which wrist specialists in Omaha have passed this examination, you can use the American Society for Surgery of the Hand link. Tip#2: Depending on your treatment needs and comfort levels, you will want to inquire about the wrist specialist's residency training. Board certified orthopedic surgeons, plastic surgeons and general surgeons are able to advertise themselves as wrist specialists after completing hand and wrist surgery fellowship training. From the residency training perspective, plastic and general surgeons are not trained to treat broken bones, ligament or tendon tears, or any other orthopedic conditions for that matter. This is something they learn during the 1-year hand and wrist surgery fellowship. However, plastic surgeons are the experts when it comes to skin flaps, while general surgeons may be more astute in vascular repairs. Tip#3: You should call your health insurance provider and inquire about their preferred orthopedic wrist specialists in Omaha. Due to current health care system changes, the insurers will prefer those wrist specialists who employ the insurer-approved standards of care. What this means is that your health insurance company may tell you to see Dr. X although Dr. Y is also covered by your insurance but is not on their list of preferred wrist specialists. The preferred wrist specialists are the ones who may have a (direct or indirect) financial incentive to limit your treatment or adhere to the insurance mandated standard of care. This is called managed care. For more information, see managed care financial incentives. It is important that you choose the best wrist specialist for you rather than let the insurance company choose the one that is the best for them. Tip #3: Inquire about the wrist specialist's willingness to educate his patients about their conditions and non-surgical and surgical treatment options. Personally, I verbally explain the condition and its treatment options, draw pictures if necessary, provide educational pamphlets, and encourage patients to use my website as an additional resource. Turn to Google for help and look for personal websites made by Omaha wrist specialists, which can provide you with educational materials and give you a "feeling" for the particular specialist's personality, practice, and level of accessibility. Wrist specialists with an active on-line presence (personal website, Facebook, Twitter, or Google+) tend to be more accessible and involved in their patient care and education. Tip #4: If you want a doctor who truly cares about his patients, ask how accessible he is after hours and on weekends. My patients, for example, have 24-7 access to me via the Nebraska Methodist Hospital paging service. In addition, anyone can e-mail me at izadihand@nmhs.org. Typically, I am able to answer e-mails within 12 hours. I am also accessible through the social medial such as Facebook and Google+. On rare occasions, when I am out of town, I am still available via phone calls and e-mails and if need be, my partner's are 100% available to address any patient concerns in person. Tip #5: It would be extremely helpful if you could find someone who works closely with the wrist specialist and elicit their recommendation. The best question to ask is who would they want as a wrist specialist for their loved ones. Ask your primary care doctor or an emergency room doctor for the names of several wrist specialists in and out of your hospital network. Hospitals encourage referrals from one doctor to another within the same hospital system. However, when it comes to wrist specialists, we are a highly specialized bunch and our numbers tend to be small even in the community as large as the Omaha greater area. The wrist specialist at one hospital may not be as helpful to you as the wrist specialist at another institution. Just like hand surgery, wrist surgery involves an interdisciplinary approach to wrist care as the treatment success depends on the wrist surgeon's technical skill and knowledge, post-surgical hand therapy, occupational therapy, and the treatment and management of an underlying medical issue, which may have been the cause for a particular wrist condition. For example, I have successfully treated patients with severe wrist arthritis by fusing wrist bones to improve the alignment and prevent further hand and wrist deformity. However, in addition to me performing the wrist fusion, the treatment success was a direct result of patient compliance and physical therapy. Some of the most common wrist surgery conditions seen in my office are Carpal Tunnel Syndrome, Cyclist's Palsy, de Qervain's Tedonitis, Ganglion Cysts, Golf Injuries, Kienbock Disease, Scaphoid Fractures, Scaphoid Non-Union, Snowboarding Injuries, Wrist Arthritis, Wrist Fractures, and Wrist Pain. Please, do not hesitate to e-mail me with any additional questions you may have.